There is nothing better than a bright colorful flower. except maybe a lot of bright colorful flowers! 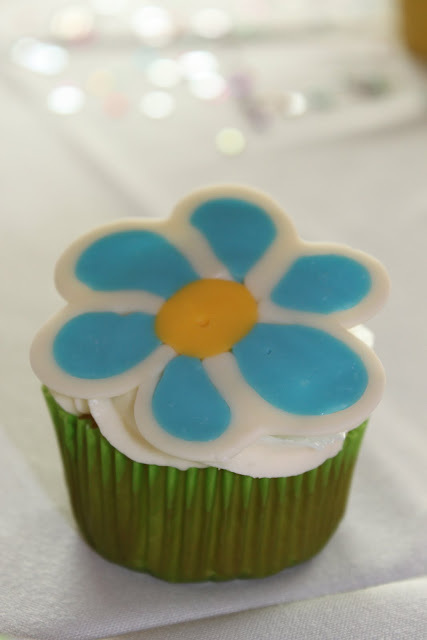 Or maybe a bright colorful edible flower on a cupcake topped with cream cheese frosting...just sayin... Way to a girl's heart. Or, perhaps the way to a girl's heart is helping make 125+ of these bright colorful flowers, waking up at 6 a.m. to transport them to a fundraiser, taking pictures and assembling them. Perhaps? Bradley, I do believe you are quite the amazing assistant. And you make a pretty darn cute cupcake. Do you want to make your own? Here is my step-by-step tutorial. Check it. These cupcakes are a-dorable!!!!! Great job! Thanks! They were for the Nicaragua Fundraiser Breakfast at the Yacht Club.